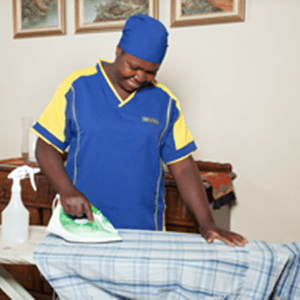 Domestic and SMME Contract service: weekly, bi-weekly or as often as required. Domestic and SMME Once off / ad hoc service: based on call-out. Building Sites: cleaning townhouse complexes for developers after building is complete. Estate Agents: cleaning homes after or before people move in or out for estate agents. Transport Companies: cleaning homes after or before people move in or out for transport companies. The contract service is based on an hourly concept. Depending on the size of the house / office and the needs of the client, Skitterblink will allocate a fixed timeslot for the house / office per week. Our supervised, four-person team will supply all the equipment and cleaning products necessary to perform their cleaning duties. Budget, Standard, Deluxe and Business With our unique 15-step Standard Service, Skitterblink will cater for all your basic cleaning needs. When the client upgrades to our Deluxe Service, we add an additional 10-step process on a cycle of six weeks. 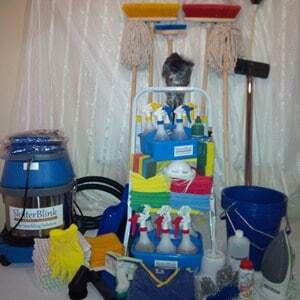 This rotation system is a very effective tool to keep the premises spotless all year round. Our Budget Service caters for clients who want to specify what must be done on their premises in relation to their budget. We then allocate a fixed time slot according to the client’s requirements and focus on the tasks the client specified. Some tasks can even be rotated on a weekly basis. We also have a specially designed Business Service for small to medium size businesses. Over and above these services, Skitterblink will leave a weekly feedback form on which the client can request any special tasks. These tasks will receive first attention on the premises. With our Ad Hoc Service we can clean the premises according to our standard routine or the client can indicate the specific details that they require. 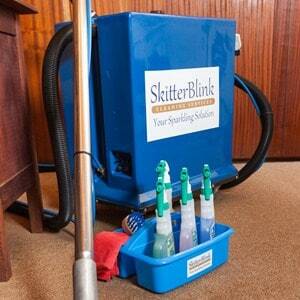 Skitterblink will supply all the cleaning equipment and chemicals necessary to clean the premises. We have also developed a unique service offering for building contractors. Building contractors are also moving more and more to cleaning companies for their pre-occupational cleaning requirements. Our experience is that with this cleaning methodology, every customer’s specific need can, and will, be met. Your personal assistance for a safe, SKITTERBLINK lifestyle!